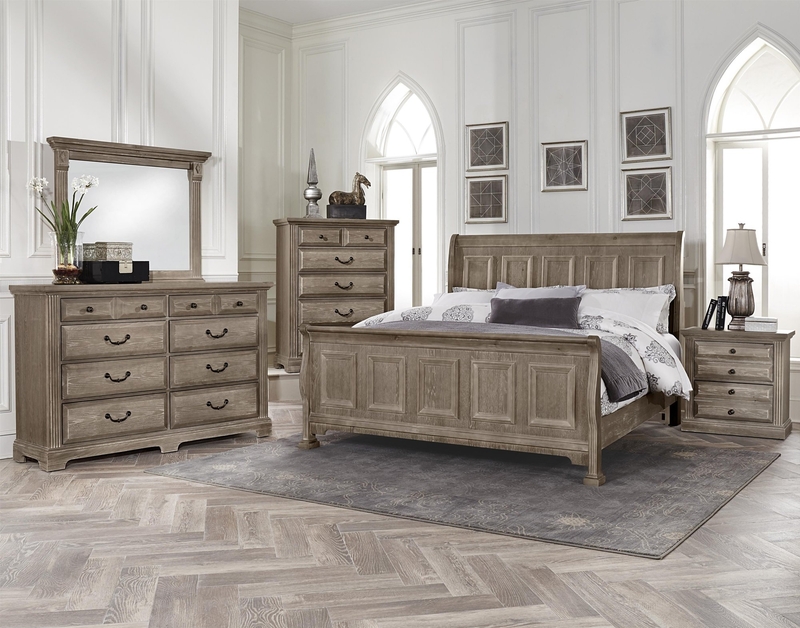 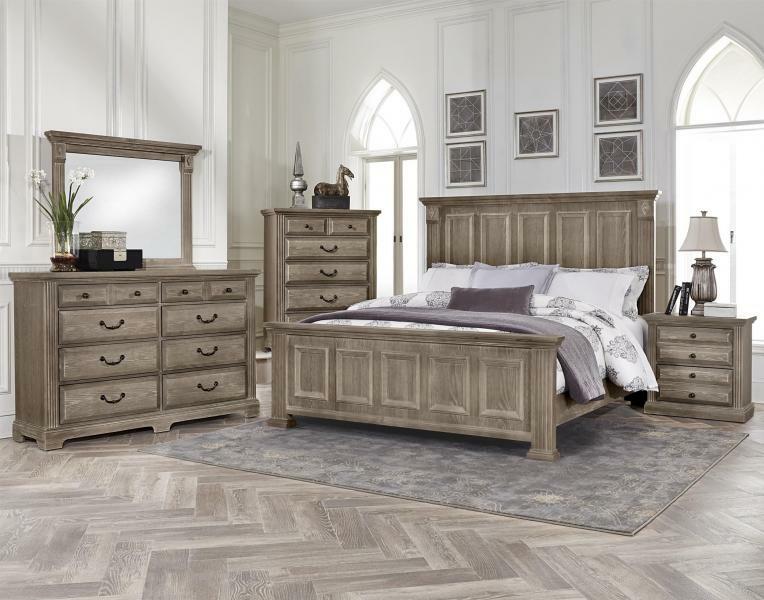 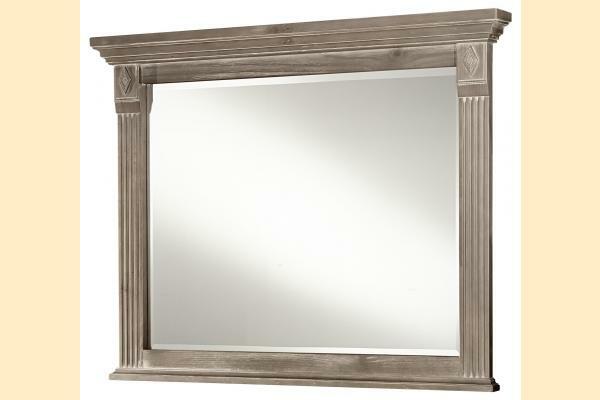 Transitional design elements with a distressed finish makes the Woodland collection a sophisticated yet inviting addition to your master bedroom. 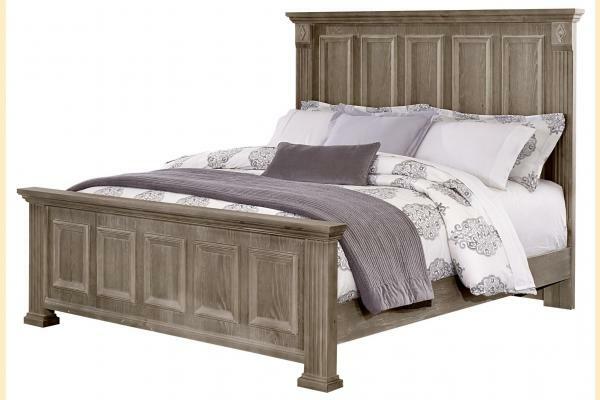 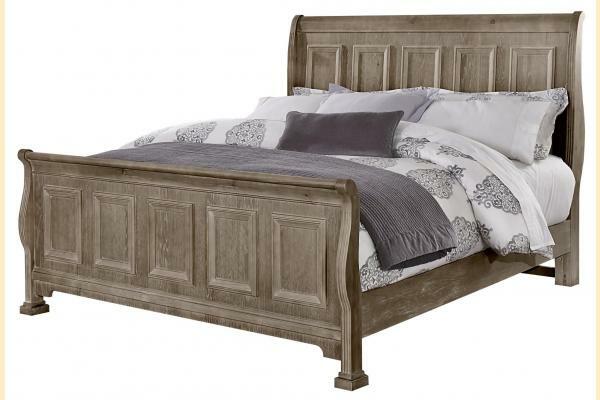 Choose from a sleigh bed or mansion panel bed. 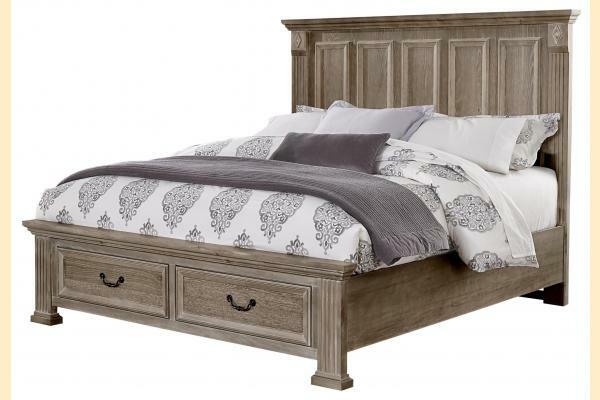 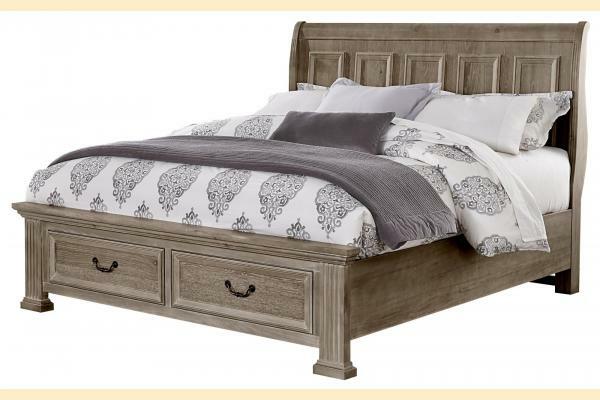 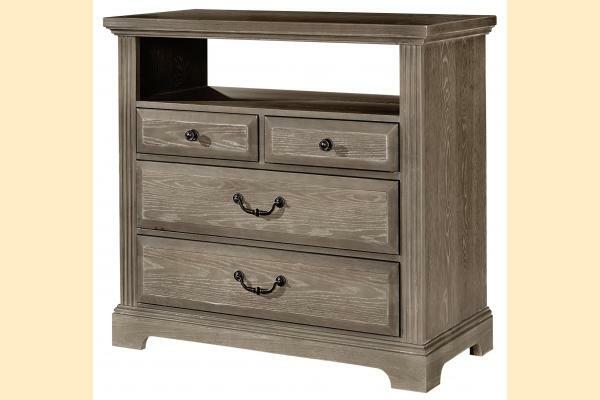 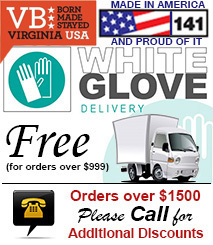 Either option is available with a standard or storage footboard. 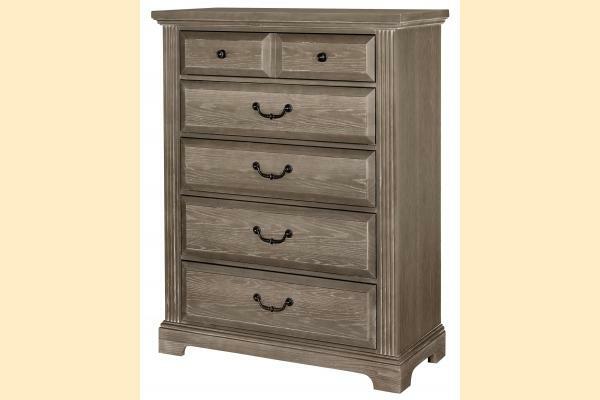 Coordinating storage pieces showcase raised drawers to add architectural interest to the silhouette of each piece. 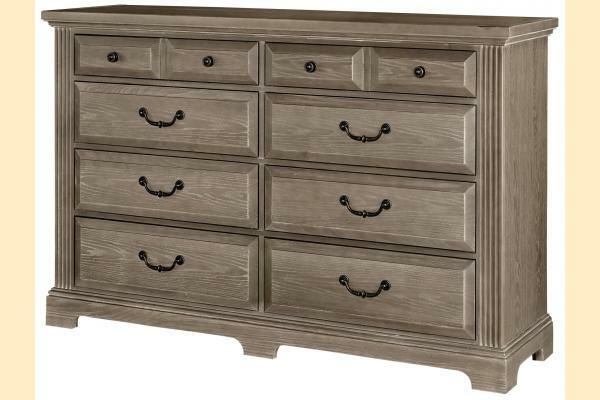 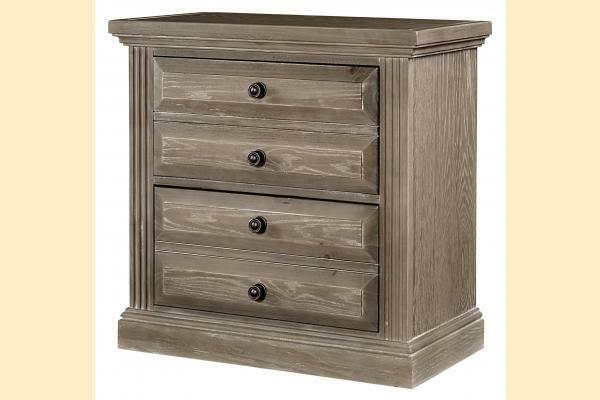 Reeded molding details and classic metal drawer hardware add a finishing touch.